Here is the latest news in the association realm for Wednesday, June 6th, 2018! Yesterday I interviewed Jeff de Cagna on Association Chat. The title for that show? “From Hype to Help: Associations and the Future of Learning and Work.” Jeff talked about why leaders need to shift their thinking and avoid orthodoxy. The reason we need to make this change? Jeff De Cagna says association leaders need to lead their members and association staff in nurturing learning because new tech, like machine learning and AI, is transforming industries and society so that we need to become better at the human strengths we have...embracing creativity, ingenuity, and curiosity to move from incidental learning to intentional learning. 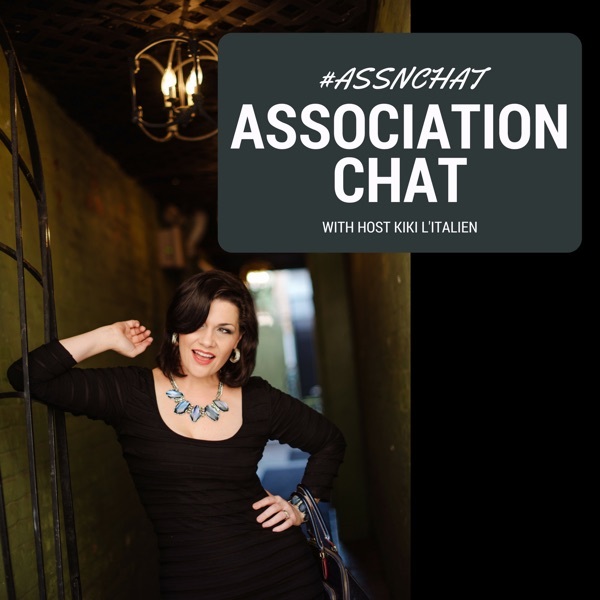 It was an amazing interview with a great thought leader in the association space and you can catch the edited podcast version of the Association Chat podcast! Hope you are having a great week everyone and catch you later on the next Association Chat Flash Briefing! ###### Check out AssociationChat.com to see the latest post about new online learning on GDPR available from The Trust Bridge. This learning is available as a mobile app and you should check it out if you or your team needs more education on GDPR compliance. NEW GDPR RESOURCE New GDPR E-Learning from The Trust Bridge If you are still wondering what you can do about GDPR, you can check out this new online learning resource, available as a mobile app! (Association Chat members receive a discounted price at this link.) http://www.thebridgegroup.biz/products-for-members Thanks for listening.